We have over 3,500 different wines - local, imported, old, rare - we cater for all tastes. We also stock an incredibly huge selection of local & imported beers and spirits. Whatever you're looking for - tried and true, innovative or unusual - you'll find it at Dan Murphy's. Don't wait! Buy online and pick up in as little as 30 minutes. Huge online range of beers, wines, champagnes, ciders, spirits and liqueurs at the lowest prices. 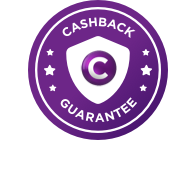 Cashback is ineligible when used in conjunction with payment by a Groupon Woolworths voucher or other third party promotional offers & vouchers. Cashback is ineligible on the purchase of gift cards. Cashback may be ineligible if using a coupon not listed on Cashrewards. Cashback is eligible when paying with Dan Murphy's or WISH gift cards. Northern Territory residents ordering for delivery to the Northern Territory, the listing of a product on this site does not constitute an offer to sell that product to you. Prior to any offer or acceptance, additional price checks will be completed and the price of the product may increase to ensure compliance with the Northern Territory Minimum Unit Price Legislation. This may change the final price calculation for your order.